AGAINST ALL ODDS, RUTH COLAN IS RUNNING FOR PUBLIC OFFICE IN Parliament. 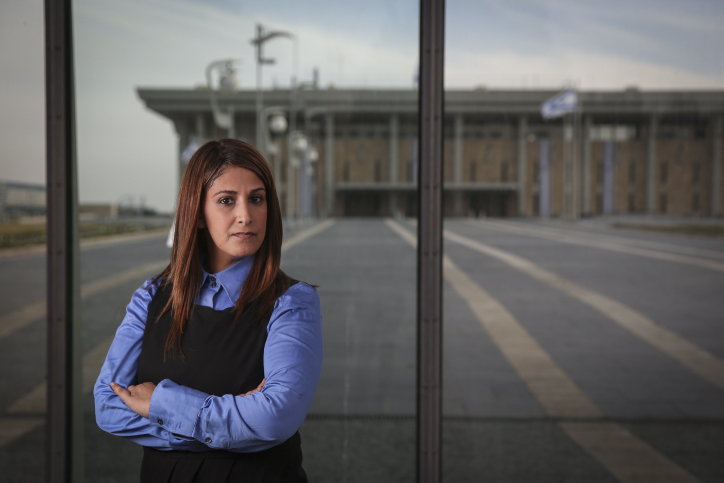 She knows that she is fighting an uphill battle- but she also knows that Ultra-Orthodox Jewish women are a segment of Israeli society entirely unrepresented in the Knesset. She sets out to establish the first ever political party for Haredi women that will run for elections in 2015. She is an unexpected and courageous character, who survived a traumatic childhood to go on to be a wife, a mother, and a fighter for the rights of women in a deeply patriarchal religious community. A HYPNOTIC JOURNEY INTO THE DEPTHS OF CONSCIOUSNESS THAT follows the traces of poet, Paul Celan, one of the greatest poets of the modern-postmodern era. A female archive researcher listens to extracts from original recordings by the poet and changes from an archivist into an alchemist.